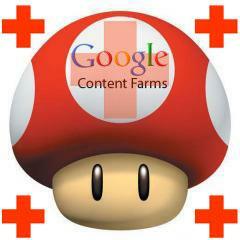 Were you bundled into the sites that got hit by the Google Farmer Update? Do you think Google classified your site incorrectly and you were collateral damage? Is emotional support not enough? Well, good news! Google has opened up a thread asking for examples of sites that were hurt by this update. Google will review these sites and double check the algorithm is indeed working as they planned. According to our metrics, this update improves overall search quality. However, we are interested in hearing feedback from site owners and the community as we continue to refine our algorithms. If you know of a high quality site that has been negatively affected by this change, please bring it to our attention in this thread. Note that as this is an algorithmic change we are unable to make manual exceptions, but in cases of high quality content we can pass the examples along to the engineers who will look at them as they work on future iterations and improvements to the algorithm. So even if you don't see us responding, know that we're doing a lot of listening. Google said they cannot "make manual exceptions," aka whitelist sites. But they will review the sites and see how they can use them to improve this algorithmic update. I have to say, in addition to thanking Google for opening up this thread, you must thank Danny Sullivan for politely encouraging Google to give webmasters a method of asking Google for help with this update. Without Danny, I doubt there would be a single channel to submit your site specific to this algorithmic update. So get to it. Know a high quality site hit by this update? Let Google know now.